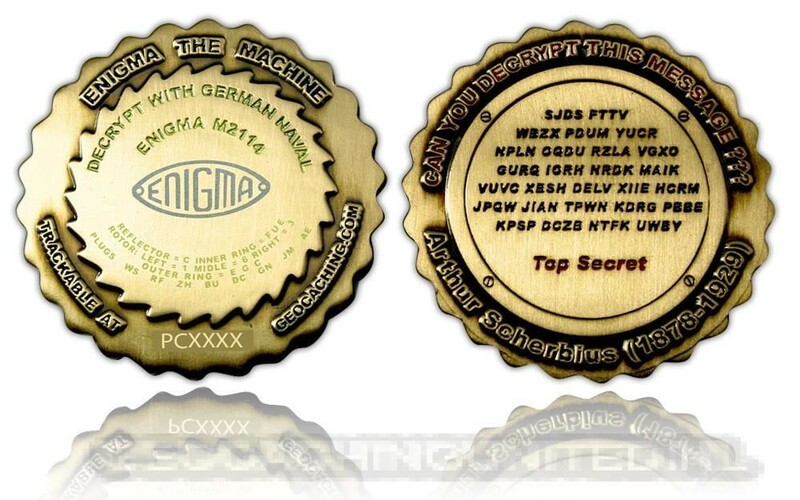 This geocoin is dedicated to the cipher machine Enigma M2114. It's a very special coin, because it has a message on it! The word "Enigma" hails from the Greek and stands for riddle or mystery. On the front you will see the settings which are necessary to decipher the encoded text by using the Enigma. 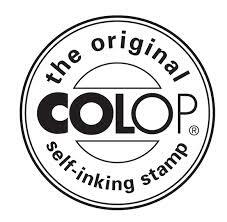 On the back you have an in cipher text. This text can be decrypted, you just need to know how the "machine" and their codes were applied! In this case the ENIGMA M2114 of the German Navy was used! As the inventor of the ENIGMA the graduated German electrical engineer Arthur Scherbius (1878-1929) is rated.